Welcome to the STAR CURSED blog tour! 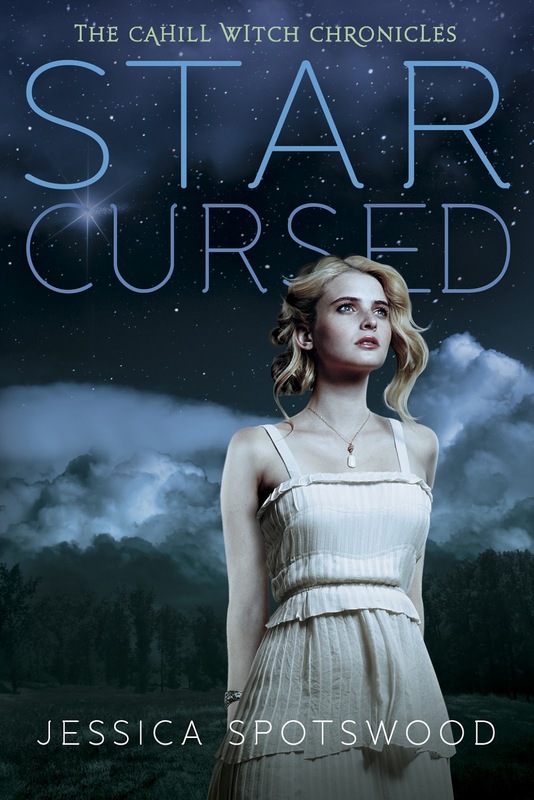 STAR CURSED is the second book in The Cahill Witch Chronicles. Let me tell you a little bit about this series-it's the perfect summer read! It's an alternative history with witches-what's not to love? And yes, I know there's a love triangle, but I have to say, this is one love triangle where I was just as torn as the main character (although I do love Finn!!) I don't know who I would rather see Cate with and that makes reading the series even more fun. And oh my goodness, that cliffhanger ending-trust me-Jessica is brilliant and a bit mean for making us suffer! :) If you're looking for a fun historical series with a magic twist, be sure to follow along on the tour and have a chance to win a special ARC from Jessica! About the Book: With the Brotherhood persecuting witches like never before, a divided Sisterhood desperately needs Cate to come into her Prophesied powers. And after Cate's friend Sachi is arrested for using magic, a war-thirsty Sister offers to help her find answers—if Cate is willing to endanger everyone she loves. I am so excited to be part of this tour! As part of the blog tour, each day Jess is revealing an annotated snippet from STAR CURSED. 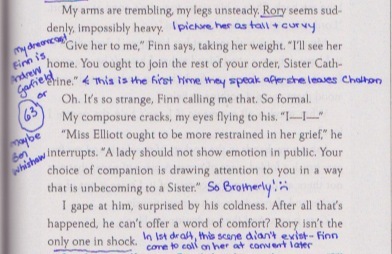 I love annotations in books and I am loving following along the tour and reading Jessica's notes throughout the book. You don't want to miss out!